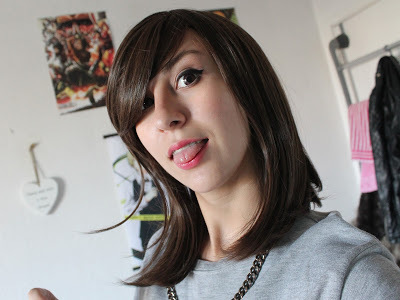 I’m reviewing another Mikasa wig from Wig-Supplier today! I got it from Wig-Supplier and I also recorded an unboxing video for it, check it out below if you’d like! 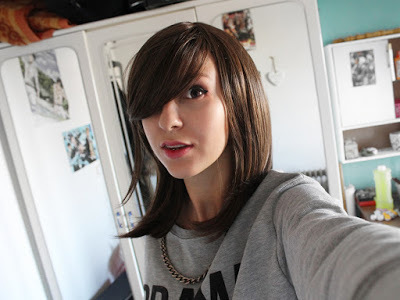 This is a pretty plain, base brown wig that isn’t styled for any specific character really. I actually got it so I could style it myself! 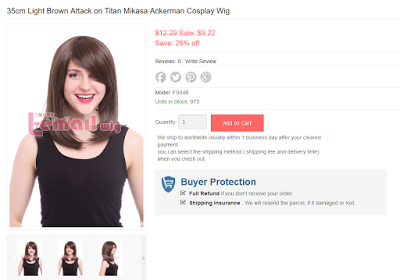 It is listed as a Mikasa wig from Attack on Titan, but I think Mikasa’s hair is a lot darker really. As you can see it’s super cheap and it’s on sale as well! 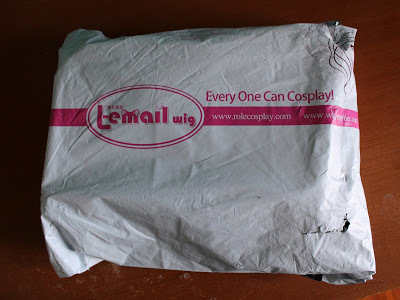 It arrived safely packed as usual, and it included a wig cap. I didn’t take pictures of it but you can see it in the video. It took it about 2-3 weeks to arrive! The wig has plenty of hair! As I’m writing this I already cut it and it’s pretty easy to manage. The wig cap doesn’t show through easily, even though the hair is pretty thin and silky. 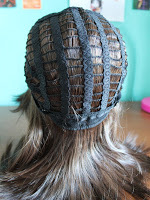 The fiber is actually heat resistant as well, so it’s that much easier to style. The fiber doesn’t tangle easily since it’s so smooth. The color is really beautiful and since there are different variations of brown it looks really natural! I’d love the fibers to be a bit thicker so that it looked more like real hair, though. Lastly, the customer support of this store is amazing, and I would definitely recommend it! They’re super nice and reply really fast! Overall, I’m super in love with this wig! It broke my heart to cut it short, I wish I could just have kept it like this… But as usual, the price-quality relationship is amazing and really worth it! Don’t forget to use my code “TITANIA” if you order from Wig-Supplier! 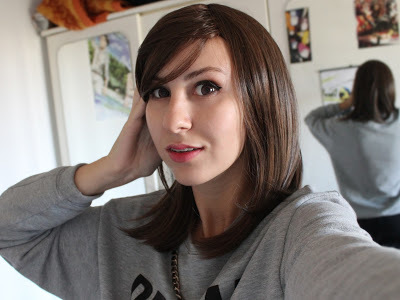 This entry was posted in Wigs and tagged anime cosplay wig, best cosplay wigs, black cosplay wigs, cheap cosplay wigs, cheap wigs, colorful straight wigs, cosplay ideas, cosplay wig, cosplay wigs, fashion wig, fashion wigs, L-email wig review, L-email wigs, synthetic fashion wigs, wholesale wigs, wig maintenance and care, wig store, Wig-supplier, wig-supplier reviews.